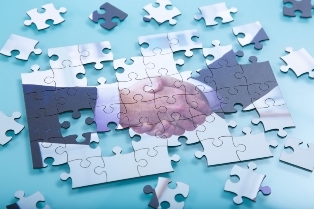 Bridgehouse Asset Managers, the retail trade name of Brandes Investment Partners &Co., has announced a collaborative partnership with Morningstar Associates Inc., a unit of the Morningstar Investment Management Group. The collaboration aims to offer core investment solutions to investors at a fee level that provides them with great value. The alliance structure is designed to deliver a long-term, stable investment approach. "Bridgehouse chose to work with Morningstar because it is well-respected and particularly known for their extensive, proprietary investment research," said Carol Lynde, president and chief operating officer of Bridgehouse Asset Managers. For his part, Morningstar Canada CEO Scott Mackenzie seemed optimistic about the collaboration. "Morningstar is a mission-driven company, and our work with Bridgehouse is a great way for us to deliver on our mission of helping investors," he said. "As we collaborate with Bridgehouse on future investment solutions, we will draw on our extensive global resources and local expertise to meet the needs of Canadian investors and their advisors." "Morningstar is an excellent complement to the existing managers already on the Bridgehouse Platform," says Lynde. With this latest alliance, the number of managers on the Bridgehouse Independent Platform has increased to five. The other four managers are: Lazard Asset Management (Canada), Inc.; Greystone Managed Investments Inc.; Sionna Investment Managers Inc.; and Brandes Investment Partners, L.P.